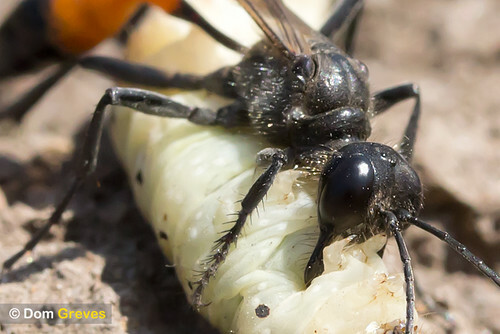 Sand digger wasp (Ammophila sabulosa) with paralysed caterpillar prey. Wisley Common, Surrey, UK. The wasp's legs were just about long enough to straddle this one although it was making slow progress.